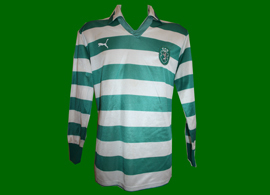 In 1981 kits made by Puma coexisted with jerseys without brand. 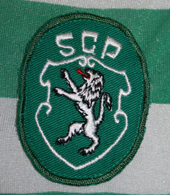 It is very likely that both cotton and synthetic fabrics were used. 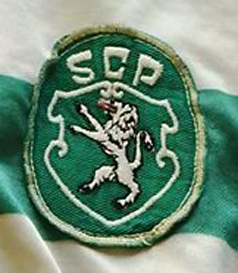 There was no sponsor. 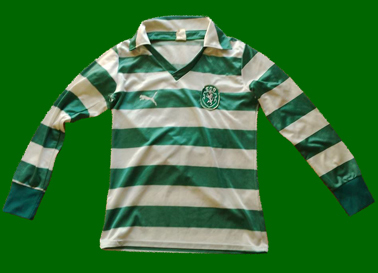 Between 1981/82 and 1986/87, the Sporting Lisbon goalkeeper jerseys were made mostly by the German brand Uhlsport, market leader in this segment at the time. 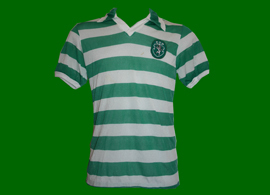 Puma match worn Sporting Lisbon kit, worn by Virgilio in the Cup final against Braga. 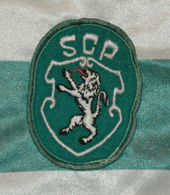 Sporting won 4-0. 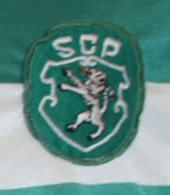 Match worn by Nogueira in the Cup final, where Nogueira was a used sub. 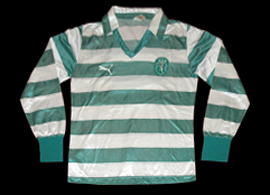 Very rare Puma make.